The Association of Southeast Asian Nations marked the 50th anniversary of its foundation in April with fanfare – celebrating its mission of “one vision, one identity, one community” in Manila with the habitual group photo of members crossing their arms across their chests to link hands with the representatives next to them, mimicking their organization’s emblem of rice stocks tied in the middle. The total trade volume of Association of Southeast Asian Nations (ASEAN) with China is projected to increase to US $1 trillion (S$1.4 trillion) by 2020, said AKP Mochtan, deputy secretary-general of ASEAN for Community and Corporate Affairs, at a seminar Monday. From Singapore to the Philippines, Southeast Asian nations are spending big on submarines and other vessels to ramp up their naval capabilities amid rising tensions in the South China Sea. Philippine President Rodrigo Duterte said yesterday he was open to exploring the South #China Sea’s natural resources with rival claimants #China and Vietnam, after securing a ‘windfall while in Beijing. What does it mean to be part of the Association of South East Asian Nations (ASEAN) or one ASEAN? China’s plan to blast rocks and islets to improve downstream navigation along the Mekong River represents the latest Beijing-led scheme to facilitate stronger trade ties to Southeast Asia. Rapid population growth and climate volatility in Southeast Asia will push up demand for food in the region by 40 per cent by 2050. How can Southeast Asia put food on every table? 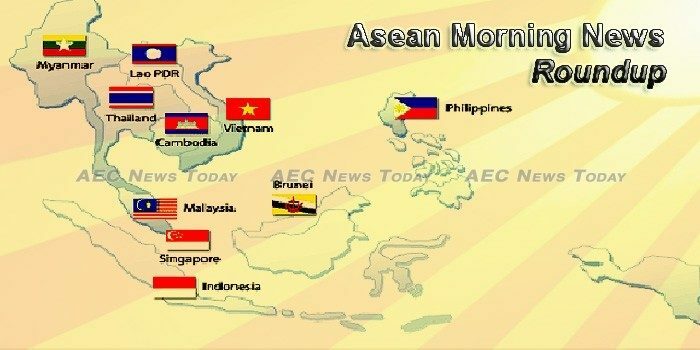 President Duterte is amenable to the entry of Mongolia and Turkey into the 10-member Association of Southeast Asian Nations (ASEAN) despite the concerns raised by Myanmar State Counselor Aung San Suu Kyi on their geographical location. AirAsia Bhd is planning to set up a low-cost carrier (LCC) in Cambodia, according to a Khmer Times report. This follows reports over the weekend of the budget airline planning to undertake a similar move in China. China has overtaken Vietnam to become the first largest source of tourists to Cambodia, a Cambodian Tourism Ministry official said on Tuesday. Japan-based Tokyo Gas is keen to invest in liquefied petroleum gas project in Sulawesi. A customer of Telekomunikasi Indonesia is suing the country’s largest mobile operator, also known as Telkomsel, to receive the log of his transactions with the operator, after finding out that money was deducted from his credit without his consent. Indonesia has granted the nation’s tax office access to financial information held by banks and other institutions, the country’s latest move to join a global framework designed to curb tax evasion. Soldiers from Cambodia and Laos have been locked in a standoff across their shared border since February, in a spat that has seen troops on the ground accuse each other of incursions while the leaders of the two countries dismiss reports of friction. Construction of the Laos-China railway is gathering steam with many tunnels being bored despite rainfall, Lao state-run media Vientiane Times on Tuesday quoted officials as saying. The Nationwide Trading Petroleum Public Company (NTP) has agreed to supply 14.4 million litres of fuel to the Laos-China Railway Construction Project in the section between Phonhong district, Vientiane province to Vientiane Capital. Civil servants made up about 46 per cent of the 414 people detained by the Malaysian Anti-Corruption Commission (MACC) for various offences so far this year, says MACC deputy chief commissioner (prevention) Datuk Shamshun Bahari Mohd Jamil . The Majlis Amanah Rakyat (MARA) has produced 399 educators who are doctorate holders from the Institusi Pendidikan MARA (IPMa) to increase the professionalism and competency of the teaching staff there. A traffic command centre built to aid the fight against Yangon’s chronic road congestion has officially opened for operations, regional security minister Col. Tin Aung Tun told lawmakers Monday. Villages in Rakhine State were facing drinking water shortages from Monday, with soldiers from the battalion of Western Command Headquarters taking supplies to drought-hit areas. Puma Energy Asia Sun, a joint venture between Puma Energy and local firm Asia Sun Energy, is looking to move beyond storage services in Myanmar to include oil products distribution in the country, said a top executive. President Duterte has dared Magdalo Rep. Gary Alejano and Sen. Antonio Trillanes IV to “go ahead” with bringing a case against him in the International Criminal Court (ICC) for alleged human rights violations in connection with his war on drugs. The Philippine economy likely sustained its strong growth momentum in the first quarter on recovering farm output and exports and higher government spending, supporting the case for the central bank to tighten monetary policy this year. Personal remittances from Overseas Filipinos (OFs) grew by 11.8 percent year-on-year, reaching a new record high of US$2.9 billion in March 2017. AFTER five consecutive months of growth, Singapore’s non-oil domestic exports (NODX) saw a slight pullback of 0.7 per cent in April 2017. Singtel has collaborated with AXA Insurance to launch a joint smart car solution aimed at promoting better and safer driving habits. Home and business computers tied to some 500 Internet protocol addresses in Singapore could have been infected by the global ransomware WannaCry, the Cyber Security Agency (CSA) said last night. RISING oil prices and high competition had an impact on the financial results of aviation companies in the first quarter, with some reporting slight growth but others reporting declines in revenue and net profit compared with the same period last year. SAIC Motor is planning to ship vehicles from Thailand to other parts of Southeast Asia and beyond, following in the footsteps walked decades ago by Japanese automakers. Land prices in the central business district (CBD) are expected to continue rising despite the already pricey levels in the area. The State Bank of Vietnam (SBV) recently permitted the Joint Stock Commercial Bank for Investment and Development of Vietnam (BIDV) to issue VND20 trillion (US$893 million) worth of bonds in 2017. Vietnamese consumers should foot the bill for a higher environment tax in order to sustain the state’s income from fuel, a senior Vietnam Petroleum Association official said on Tuesday. As the domestic cement supply has exceeded demand, exporting products is the only solution for cement manufacturers.